BMW Motorrad worked hard on a new boxer engine and the people in Munich decided it deserved a special unveiling. Therefore, calls were made and projects were started to get the custom bike you’re seeing in the photo gallery below done. 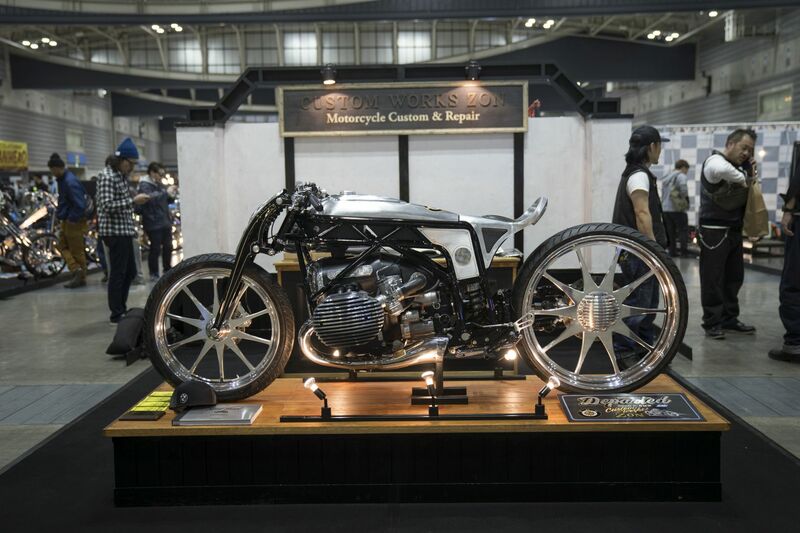 The bike is called ‘The Departed’ and is the work of Japanese motorcycle customizing specialist Custom Works Zon, was done starting from the engine and presented at this year’s Hot Rod Custom Show in Yokohama, Japan on Sunday. While the bike looks interesting and is showing the engine in its entirety, the specs of the new mill are still hidden and will be released at a later time. The external geometry and visible elements such as the push rods running above the cylinders in chrome-plated protection ducts recall BMW Motorrad boxer engines that were built until the late 1960s – but with an evidently larger capacity and a modern air/oil cooling. Zon’s distinctive style can be clearly recognized: classic styling, modern production techniques and a wealth of craftsmanship in the detail – all produced to very highest Japanese quality standards. 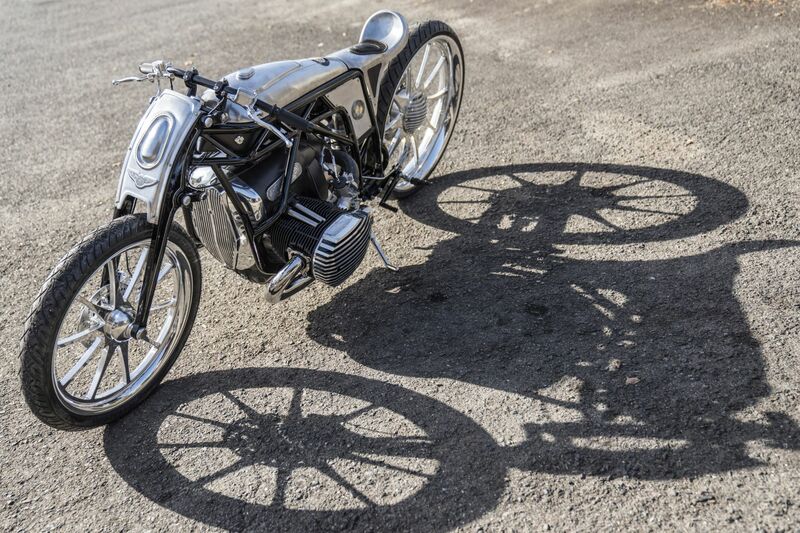 The very low silhouette of the bike is reminiscent of Ernst Henne’s record-breaking machines of the late 1920s and 1930s. The large 21 front and 26 rear inch wheels are milled of aluminum and fitted with relatively narrow tires, while the girder fork was also made of solid aluminum. The rear swinging arm is made of steel pipe and attached to the tubular space frame by means of concealed suspension. The large-volume engine is suspended in this frame structure reinforced with grid tubes. Meanwhile the fitted fuel tank, seat unit and front trim are crafted by hand from sheet metal. The bike actually won the “Best of Show Motorcycle” award which is regarded the highest honor at this year’s Hot Rod Custom Show. Custom Works Zon was founded by Yuichi Yoshizawa and Yoshikazu Ueda in 2003 and is well-known for its exceptional creations. The custom builders are regularly invited to well-known shows in the customizer scene such as “Mama Tried Show” in Milwaukee, “The Hand Built Motorcycle Show” in Austin and the Brooklyn Invitational. “It was a great honor and a challenge to be able to build a motorcycle around the prototype of such a spectacular new boxer engine for one of the most tradition-steeped manufacturers,” said Yuichi Yoshizawa about the collaboration with BMW Motorrad. Previous post Rumor: Is the BMW G09 X8 coming to the market?